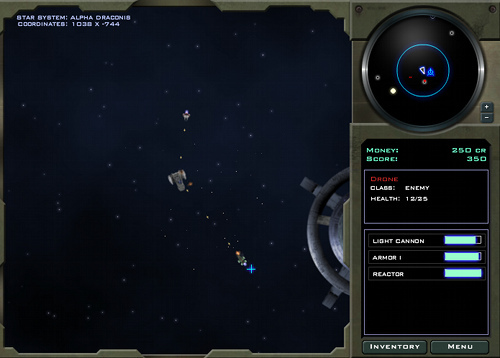 Description An epic space action-adventure game with beautiful visual effects. Defend the galaxy against an encroaching enemy invasion force with an increasingly powerful array of weapons and upgrades. Controls WASD or Arrow keys for movement, mouse to control ship turret.